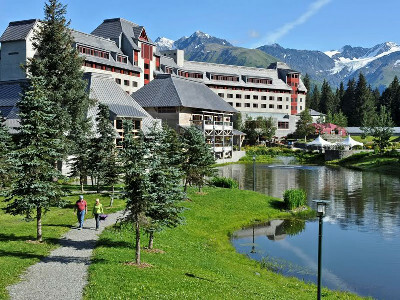 Highlights: | Anchorage | Seward | Homer | Cooper Landing | Girdwood | Visit Seward, the starting point for scenic wildlife & glacier cruises into Kenai Fjords National Park, travel along scenic Sterling Highway, explore Homer - "The halibut fishing capital of the world", visit Ninilchik - the oldest settlement on the Kenai penninsula, and experience the thrill of dog sledding on a glacier. Day 1 Anchorage to Seward (204 km / 127 mi) This morning travel along the Seward Highway towards scenic Turnagain Arm. Turnagain Arm is a body of water featuring the world’s second highest tides at over 30 feet. Keep an eye out for Beluga whales chasing salmon in the bay or Dall sheep along the highway. 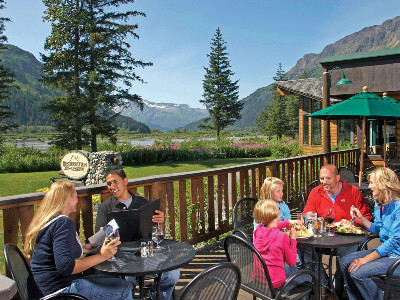 A great stop for lunch is the Alyeska Ski Resort/Girdwood. Here you can take the tram up Mt. 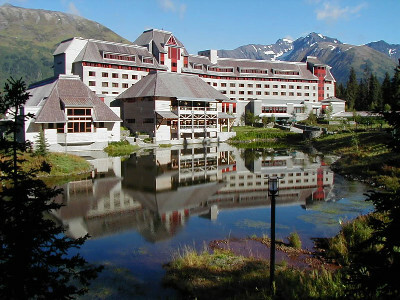 Alyeska (optional). 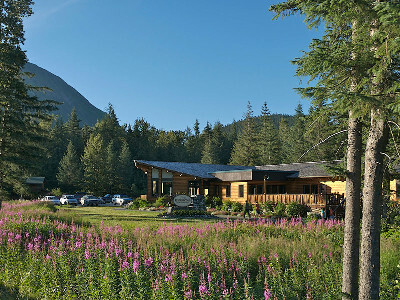 Another interesting stop is Portage Glacier and its interesting visitor centre. 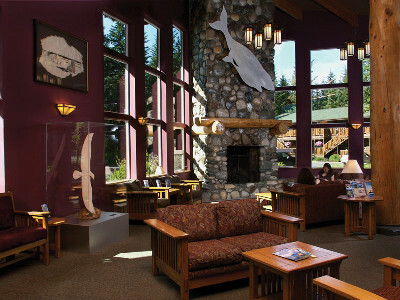 In Seward we suggest a visit to Exit Glacier and the SeaLife Centre. 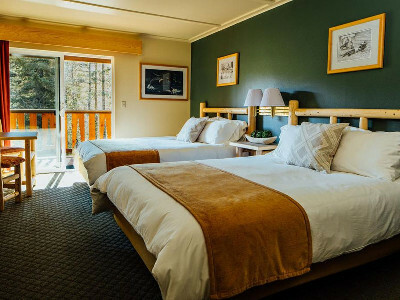 Day 3 Seward to Homer (270 km / 168 mi) Continue your self-drive journey and follow the Sterling Highway - a designated scenic highway covering miles of spectacular landscape with snow-capped mountains and its many active volcanoes known as the “Ring of Fire” with Mt. Iliamna, Mt. Redoubt and Mt. 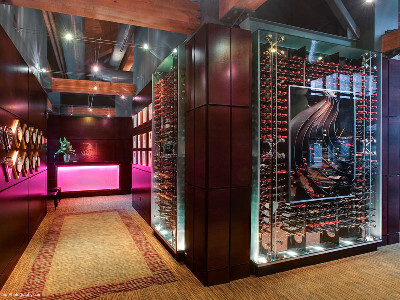 Augustine, deep ocean bluffs, excellent salmon fishing opportunities along the Kenai River and a magnificent coastline. Homer is blessed with a view to the south that is stunning in its beauty and grandeur. The rugged Kenai Mountains are spreading across the sparkling waters of Kachemak Bay. Homer is also known as a great fishing hole. King Salmon may be caught here from May to June, while Silver Salmon run during August. Halibut - large as a barn size door - are available from May - September. Day 4 Homer - Free Day The “Cosmic Hamlet by the Sea” and “The Halibut fishing capital of the World” - there must be something truly special about a town with so many nicknames. 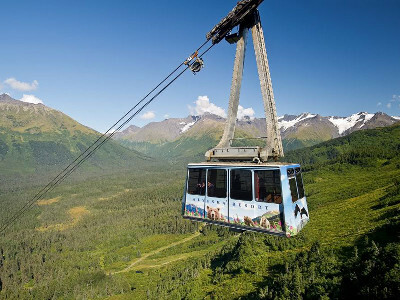 From the first breathtaking glimpse of the Homer Spit from the Sterling Highway coming into town, visitors to Homer are struck by the awesome natural stage on which the little city sits. The looming peaks of the Kenai Mountains, packed with ancient glaciers and brimming with abundant wildlife, stand sentry over Kachemak Bay. Few towns have the culinary variety of Homer where there are coffee bars on nearly every corner next to gourmet sandwich shops and fine restaurants so atypical of small-town Alaska. 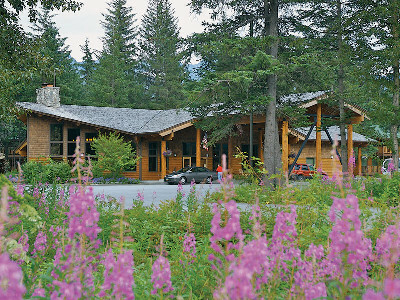 The art galleries, along with museums, a live theatre and music venues give credence to Homer being the cultural capital of south-central Alaska. Day 5 Homer to Cooper Landing (193 km/120 mi) Leave Homer for a scenic drive to Ninilchik - the oldest settlement on the Kenai Peninsula. The Russian-American Company established Ninilchik in the 1820s for its elderly employees, who could not endure the long journey back to Russia. Other settlers soon congregated there, and in 1901 they constructed the community’s Russian Orthodox Church. Continue to Cooper Landing - located at the world famous Kenai and Russian River and enjoy a two-hour float trip on the Upper Kenai River. Have your camera ready as you keep a keen watch for moose, eagles, Dall sheep, salmon and bears as your guide navigates you through the snow-capped mountain scenery. The tour ends on the shores of a glacier-carved lake within the heart of the Kenai National Wildlife Refuge. Day 6 Cooper Landing to Girdwood (106 km / 66 mi) with Glacier Dog Sledding Heli Tour Drive east on the Sterling Highway and then north on the Seward Highway to reach Girdwood. 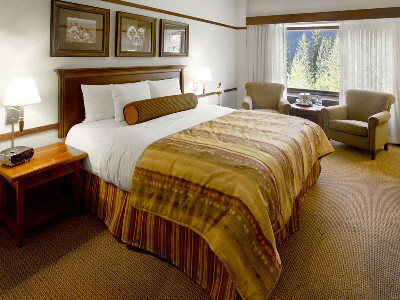 Girdwood is the home of the only 5-star resort in Alaska - the Hotel Alyeska. In the afternoon, experience dog sledding on a glacier. 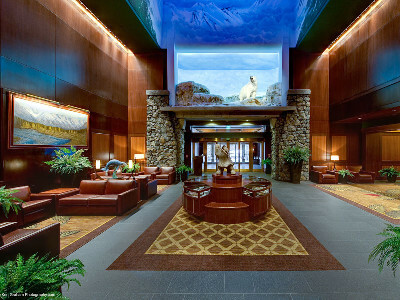 Enjoy a scenic helicopter flight to the unique glacier base camp that serves as a summertime training ground for Iditarod sled dogs. Learn about mushing and hold adorable puppies while the team is prepared. Then take a scenic ride along a spectacular 3.25km glacier trail. Day 7 Girdwood to Anchorage (62 km / 38mi) Continuing towards Anchorage, you will be able to view the magnificent scenery back to the Kenai Peninsula across Turnagain Arm. If you like, there is a great walking area in Potter Point Park along the ocean. Keep an eye out for beluga whales making their way towards the Cook Inlet or for Dall sheep combing the mountainsides. Upon arrival in Anchorage your self-drive ends.